Celebrating the wines of Martinelli Vineyard & Winery, we are excited to have Chef Jonathan Perno preparing an incredible 5-course menu to pair with the wines at Campo at Los Poblanos Historic Inn & Organic Farm. 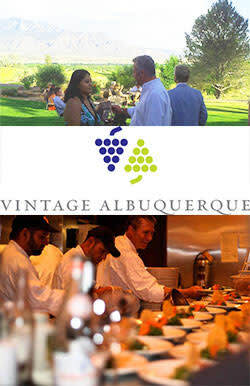 A native New Mexican, Jonathan trained at the California Culinary Academy and spent time at Postrio under Wolfgang Puck, Splendido and Alain Rondelli in San Francisco, Sweet Basil in Vail, Colorado, Splendido at The Château in Beaver Creek, Colorado, and Metropolitan in Salt Lake City, Utah. His résumé also includes the requisite European culinary tour, a stage at La Tante Claire in London. In addition, he spent a year in Berkeley, California at an organic farm learning raised bed farming. The evening will start with a Champagne reception, followed by 5 Martinelli Vineyard & Winery wines elegantly paired with Chef Jonathan Perno' menu. This is an extraordinary pairing of wine and food that should not be missed.